games may not be running properly on Android 5.0 ("Lollipop"). An update is on the way. Join tens of thousands of players online in the ultimate hack-n-slash dungeon crawler! OVER 12 MILLION DOWNLOADS WORLDWIDE!! - Choose from Templar, Archer, Berserker, and Sorceress in your fight against new evils that have awoken! - Over 10 million players are fighting the evil every day! 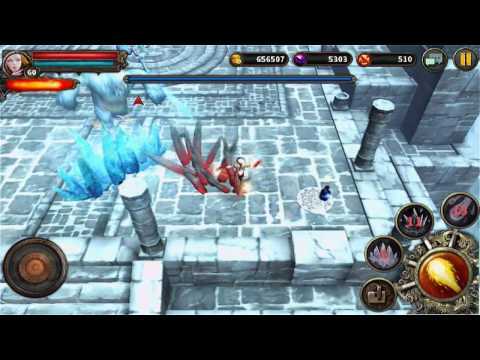 - Play simultaneously with 3 other players in Boss Raid mode! - Formulate strategies with all 4 heroes to defeat the new and advanced World Bosses! - No wait times and queues! Players can join anytime in epic real-time 3:3 Death Matches! - Reign over others! Play and compete in the warlord match! - Reach new heights and become the ultimate warrior! - The brand new semi-targeting system allows players to maximize the in-game experience!